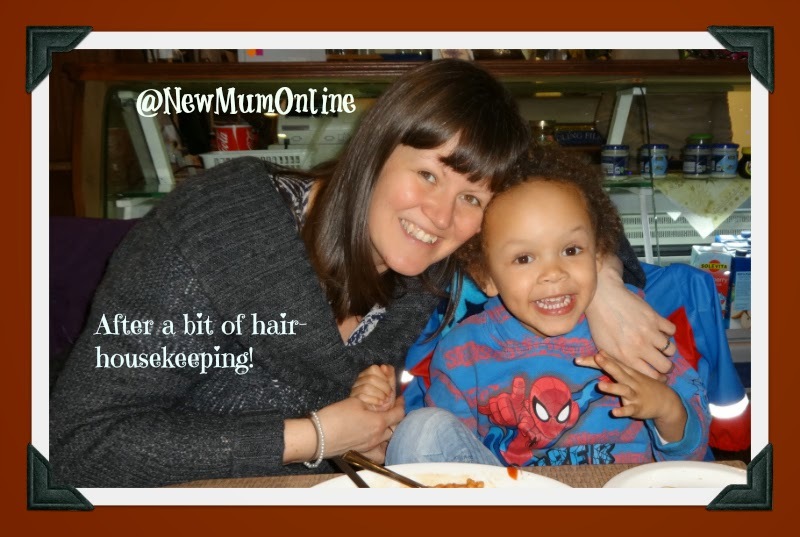 New Mum Online: New Nurturing Energy in 2014 - Game On! New Nurturing Energy in 2014 - Game On! We're only a handful of days into 2014 and I can feel huge shifts taking place already. I feel compassionate and loving to people I hadn't previously. I am decluttering and cleaning at a rate of knots. I am feeling like an old me is resurfacing. I am being drawn to things that raise my vibration and am cutting out like ulcers things that don't. So hearing about Hannah being into Fly Lady got me spending 7 hours cleaning my kitchen, and hearing about Nickie getting a juicer for Christmas has seen me juicing yesterday AND today (for the first time in months). Hearing of each of those things were purely by chance, but they both showed me, that if you get inspired by the right people at the right time, you can do awesome things, EVEN when you are stuck in a lethargic post-Christmas rut. I still got off my arse, even in my lethargy. THAT shows me, that when the evenings lengthen, as they have already started to, slowly and surely, I can do even more amazing things. Also, I have been praying like a mad thing, that I could do something about my health. My adrenals are shot to pieces and my hair has been falling out so much, that it is like 2010 all over again (i.e. post baby birth). A good few weeks ago I stopped combing it as a result. Now that wouldn't be too much of an issue if it was out loose, as you'd be running your fingers through it etc.... but no, it was in a plait, so the hair could not shed or work tangles through, so I ended up with a dreadlock on the left side of my head. Did I do anything about it? No, I just wore a headband every time I went outside and made sure it was tucked under there, like a dirty secret (well strictly speaking I was still regularly washing my hair so it was a tangled, rather than dirty, secret!). You can even see me sporting my headband in this Dyson review post: http://www.chelseamamma.co.uk/2013/12/dyson-dc59-review.html and yes the dreadlock IS hiding under there. Anyone ever had a dreadlock in their hair. Is there a way of combing it out? ... late at night on 20th December I did indeed cut it out. I put a tangle free product (that I use on Aaron) in it and loads of oil and I teased loads of hair out of the dreadlock and also worked it down so that it started from JUST below my ear instead of from my scalp down to the bottom. It still felt like a mouse! Anyway, with 21st December (which to me is a big deal = Winter Solstice) looming I CUT IT OUT!!!!! And I felt like I had lost a stone, and chopped out some sort of secret or ulcer! Anyhow, fast forward to 23rd December and I had the hair appointment and he could not believe that I had actually cut it out! Even though it was his suggestion had me do it! He did my side parting slightly higher (i.e. closer to centre) and managed to blow dry hair down over it, and you can't even tell it's there. It was too deep into my hair to even have layers on both sides. Couldn't believe it when he said that wasn't an option. I thought he would simply feather around my face on both sides and leave it long at the back, but no! Anyhow, what I LOVE is that due to this whole fiasco and the fact that my adrenals (and my patience) are shot to pieces, as is my nervous system/energy/nutrition, I decided I needed to do the one and only thing that always works in this situation, that I have done for 25 years. That means book an appointment with my Chinese Herbalist. Now, if you are new to that, don't book to see one of those Herbalists you see in retail outlets! I find them to be useless. Mine (the same man for 25 years) I have only ever seen in clinics. Anyhow, as much as I knew I needed to see him, he lives in Sweden now, so I knew it wasn't possible. Imagine my surprise when he puts on Facebook that he will be in London on 4th and 5th January 2014. I wouldn't normally have seen the post, but it was serendipity and meant to be that I did. Suffice to say, I have an appointment and once those herbs kick in, I will be a new woman, just like I have been each and every time I have ever taken them. Normally I would have found a way to see him much much sooner but finances were against me, having been a SAHM for a year and a half now (God that's flown). If you have just given birth, you don't have to put up with that "hair fall out thang!" - when I got herbs from him in 2010, my hairdresser (at the time - not current one) could not believe the regrowth she was seeing; she'd NEVER seen anything like it. The Chinese Herbs really really do work. I can't wait to feel myself again! Maybe it'll mean I'll start blogging at the much neglected +Conscious Mum again! That'd be great! Just to have the energy to be a good wife and Mum would be awesome. But I need it for me. To be me. To give to this Earth what I was brought to this Earth to do. 2014 is a time (I think for all of us) where we will be asked to stand up for our life's calling and it seems, will readily be given the tools to do so. How very supportive and nurturing is this energy? But then that is because the energy that is coming through now, to this planet is more female (and motherly and divine) in nature. I am going to run with it and see where it takes me. By the way, I credit herbs for getting me pregnant, as on the 1st attempt, at trying to conceive, I had implantation failure and then was later successful thanks (in my belief) to herbs. I also believe the herbs then went on to aid me in carrying to full term. That is a personal opinion and not a medical one, but one I firmly personally believe. Good timing to get on the herb train again, when I do want to try for a second baby in 2014! I just did some Googling (it's now Saturday 4th January 2014) and came across this Aquarius overview for 2014 - I love it! Wow - I can feel the energy coming through in this post! Your hair does indeed look super shiny and Flylady is amazing! I have just joined - I hope your energy in infectious and available to me when I head back home from my trip on Monday! Whhhhhhaaaaat, stops the clock, this post is all about me b'by! Aaron move over for once! It's MY hair. ALL MINE!!!! !